Property 5: Nearby Osaka Umeda! 4min walk to sta. Property 10: Guesthouse Chiharu!It is within a 10-minute walk from JR Teradamachi Station! 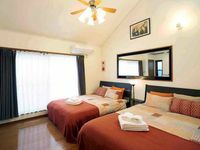 Property 18: H # 66 Only 7 minutes walk from Namba Station.It is a comfortable room with easy access within walking distance to Dotonbori Shinsaibashi. Property 28: 70m 2+ ★ Kuromon Mkt. Walking dist. ★ Subway 2 min. ★ Dotonbori 10 min./ Umeda 15 min. Direct KIX&Namba! Max 14 PAX! 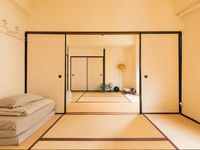 Modern Japanese style!guest house 橘! Property 36: Direct KIX&Namba! Max 14 PAX! Modern Japanese style!guest house 橘! Osaka Castle, Gion Shijo(Kyoto), Shinsaibashi, Umeda, Tennoji, KIX no transfer! Property 49: Osaka Castle, Gion Shijo(Kyoto), Shinsaibashi, Umeda, Tennoji, KIX no transfer! H # 21 Only 7 minutes to Namba Station.Dotonbori Shinsaibashi is a good location within walking distance. Property 50: H # 21 Only 7 minutes to Namba Station.Dotonbori Shinsaibashi is a good location within walking distance.